If you have come to this page because you are uncertain that Heaven is your future destination if you were to die today, then we have some good news for you. The Bible teaches us that we can KNOW that we have eternal life (Heaven). How can we have eternal life? 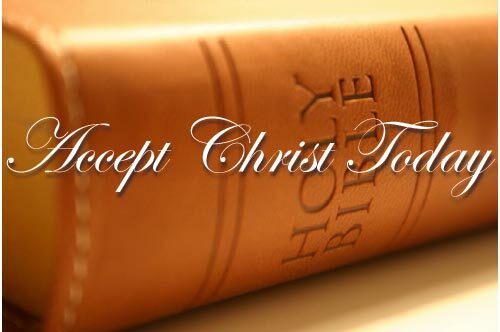 Accept His Gift. If you were to go out and murder someone (please don’t), you would be considered a criminal because you have committed a crime against the law of the land. Punishment for such a crime is a life sentence or death. Now, what if someone were to volunteer to take your punishment for you so that you would not have to serve one day of your sentence? What happens? You are free and can live in that freedom. Would you allow him to take your place and pay for your crime. Sure you would. If you were to go out and sin, you would be considered a sinner because you have committed a sin against the laws of God. Punishment for sin is hell. Now, what if Jesus volunteered to take your punishment for you so that you would not have to go to hell? What happens? You would be free from your sin and can have eternal life. Would you allow Him to take your place and pay for your sin? The Bible teaches that we all have sinned. Romans 3:23 says “For all have sinned and come short of the glory of God”. This means we have all sinned and have come short of heaven. So in truth, the Bible says that you are a sinner. You have broken the laws of God.The Bible also teaches us that there is a payment for sin. Romans 6:23 says “For the wages (payment) for sin is death (hell); but the gift of God is eternal life through Jesus Christ our Lord.” The payment for sin is eternal punishment in hell. It sounds awful, but there is good news. You do not have to go there. There is a gift for you according to this verse, what is it? Eternal life through Jesus Christ. The Bible teaches that God loves you and sent His Son, Jesus Christ, to pay for your sin by dying on a cross and rising from the dead three days later. Romans 5:8 says “But God commendeth (showed) His love toward us, in that, while we were yet sinners, Christ died for us”. This means that God showed His love for us by sending His Son, Jesus Christ, to be a payment for your sins. The Bible teaches that you can have eternal life by trusting in Jesus Christ to be your payment for your sins. Romans 10:13 says “For whosoever (if anyone) shall call upon the name of the Lord shall be saved (receive eternal life)”. It just takes faith believing that Jesus died for you on the cross and calling upon Him to give you eternal life. You can receive the gift of eternal life right now by taking a few seconds and talking to God in a prayer of faith. Pray to God right now and (1) admit to Him that you know that you are a sinner; (2) tell Him that you believe that Jesus Christ died for you and rose again to pay for your sins; (3) ask God to forgive you of your sins and cleanse you from them; (4) and invite Jesus into your life and receive the gift of eternal life. If you have just received Jesus Christ as your payment for sin (Savior), please let us know so that we can praise God with you and pray for you. You can email us at info@blessedhopeonline.net. Live for God by (1) finding a Bible-believing church to be baptized (if you need help with this let us know) (2) read the Bible (begin by reading the book of John); (3) pray regularly; (4) tell others about what Jesus did for you (or ask them to visit this page); (5) stay away from sin.